On March 8, we were honored to present author Cristina Henríquez for Multnomah County Library’s 14th annual Everybody Reads author event. Everybody Reads is a community reading program that—through the support of The Library Foundation—gave away 7,000 copies of this year’s selected novel, The Book of Unknown Americans. The Multnomah County Library also facilitated many community discussions about the book throughout the county. 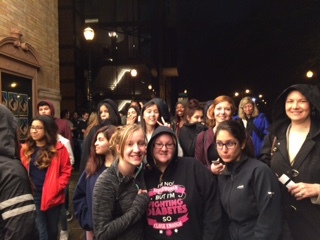 The Arlene Schnitzer Concert Hall was filled with an audience of varied ages; 525 high school students from around Portland were among those in attendance. 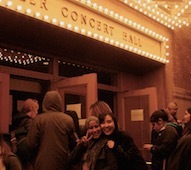 When Henríquez took the stage, she was greeted warmly. Henríquez said that she liked speaking with kids because they “ask the things that adults would never dare to ask.” The feeling seemed to be mutual; when she mentioned her visit to Centennial High school earlier in the day, a small pocket of the crowd roared with applause. Henríquez revealed that it was her first time visiting Portland. “The umbrella’s marking me as an outsider!” she said lightheartedly as she recalled her walk through a steady drizzle earlier in the afternoon. 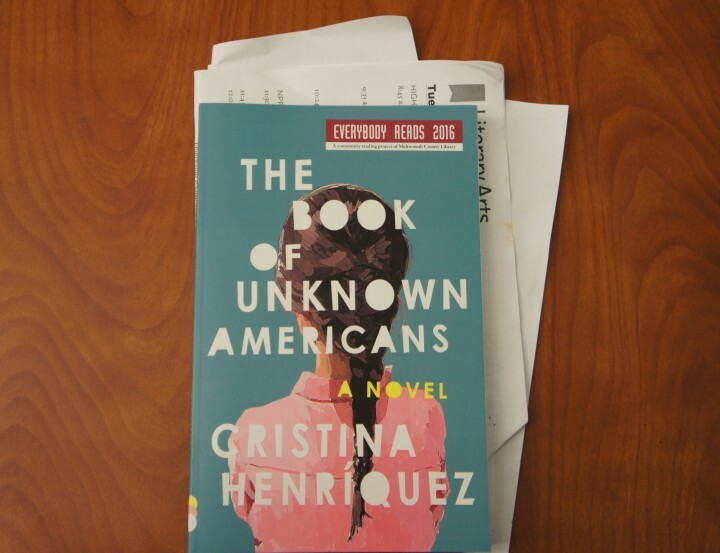 The playful anecdote of an “outsider” breaking the unwritten rule of never toting an umbrella in Portland felt like the perfect entry point into Henríquez’s powerful discussion about her latest novel, The Book of Unknown Americans. The story—told through several interwoven voices of Hispanic immigrants that share the same apartment building in Delaware—grapples with the themes of inclusion versus exclusion, of sameness versus otherness, of community versus alienation, of empathy versus apathy. “We don’t find home in places, we find home in people,” said Henríquez, who never stayed in one place for long because of her father’s job. Henríquez described what she called the “Norman Rockwell experience” of living in Indiana in third grade, and touched on some of her experiences living in Delaware, Iowa, Texas, and Chicago—the place she currently resides. When Henríquez wasn’t finding new communities in moving, she was finding them in books. Through books, Henríquez said she was able to find a key to a different world; through characters, she was able to find an entrance into another life. Henríquez cited three books that were invaluable to her: In the Country by Mia Alvar, We the Animals by Justin Torres, and Hunting Season: Immigration and Murder in an All-American Town by Mirta Ojito. All of these books were available for purchase at the end of the event. 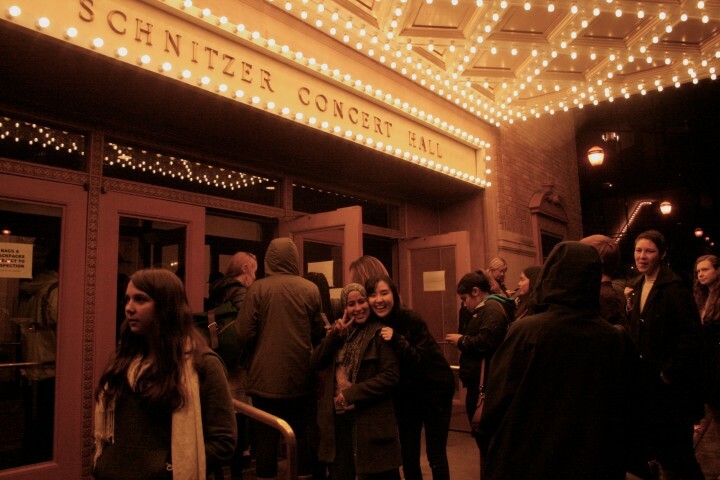 In the midst of ugly political rhetoric that reduces humanity to paperwork, Henríquez told the crowd that we must “choose to see other people—and in seeing them as someone connected to us.” Henríquez argued that while change works on a systemic level, it must work on a personal level, too. 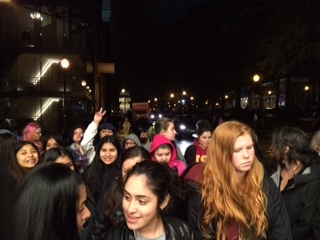 WITS would like to give tremendous thanks to the many teachers and administrators who coordinated with our Outreach Coordinator, Hunt Holman, and brought 525 students from various schools and community groups throughout Multnomah county to this evening event. 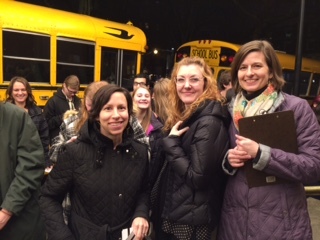 Teachers who work with WITS go above and beyond for their students, and we appreciate all their work!